Here are some pictures I took as a test of my new camera. Click on an image to get a full-screen version. 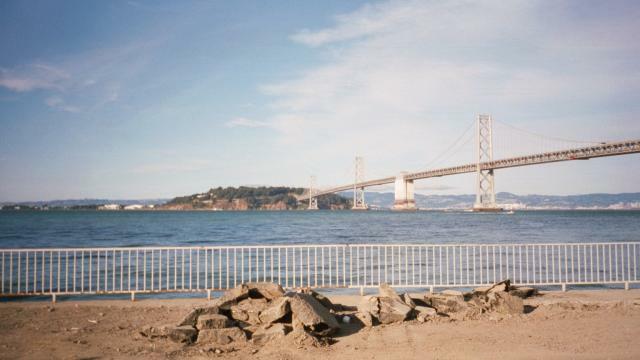 The first set is from the area around where used to work when I lived in San Francisco. 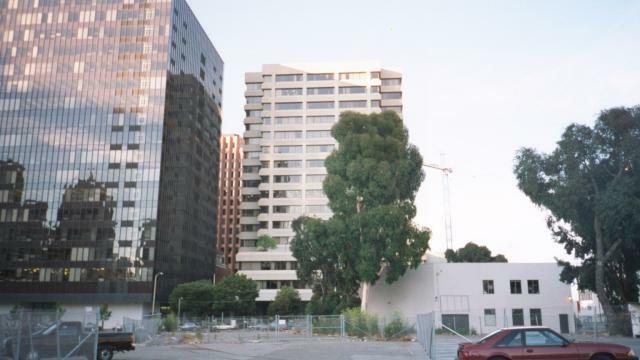 This is a shot of the Main Tower at 221 Main St. near Howard. This is where the offices of Brodia used to be. 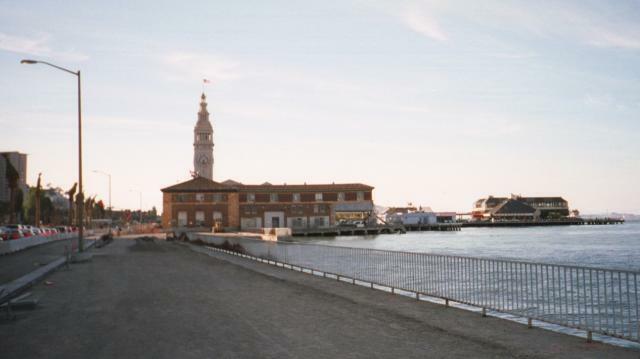 Walking two blocks east takes you to the Embarcadero and the bay. Here you can see (from left-to-right) Treasure Island, Yerba Linda Island and the Bay Bridge. North of the place I took the above picture is the clock tower at the end of Market Street. This sculpture is located a block or so northwest of the clock tower. 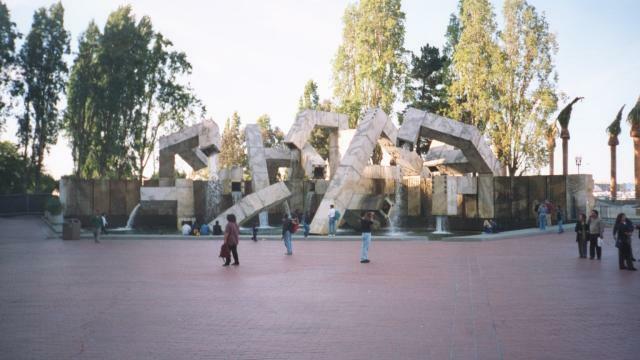 It is also a fountain. 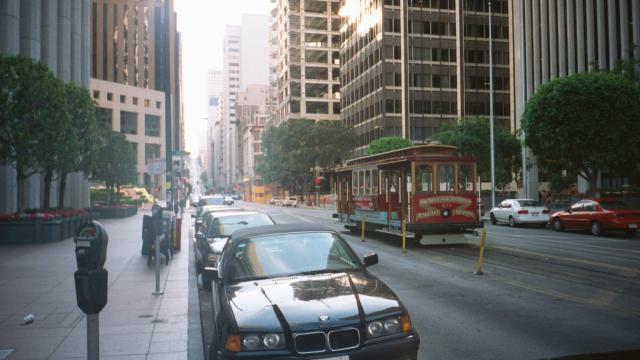 Two blocks west is the beginning of California Street trolley line. This is a shot facing west. A block south can be found the stairs down to the Embarcadero BART (and Muni Metro) station. 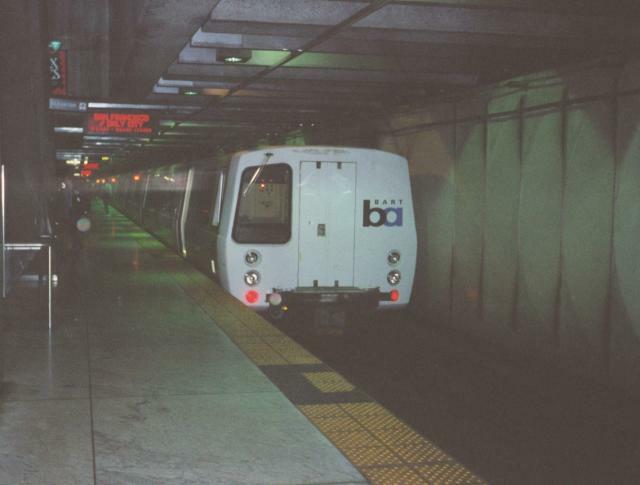 Here is a picture of a BART train just about to leave for Daly City, a community just south of San Francisco. 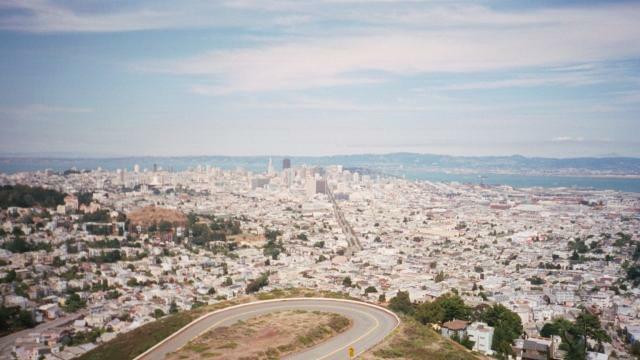 This second set of pictures was (mostly) taken from Twin Peaks. 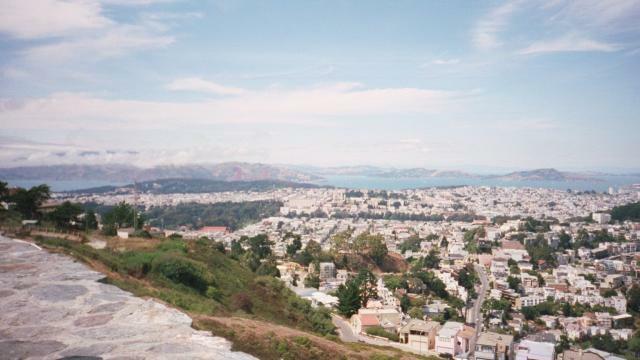 These hills are an excellent vantage point and a tourist favorite. Here is a shot of Market Street running into downtown. At the far end would be the clock tower as seen in the previous set of pictures. I was facing northeast when this picture was taken. Turning east we see the bay and Oakland on the other side. Facing north from the southern peak we see the small towers on the northern peak. 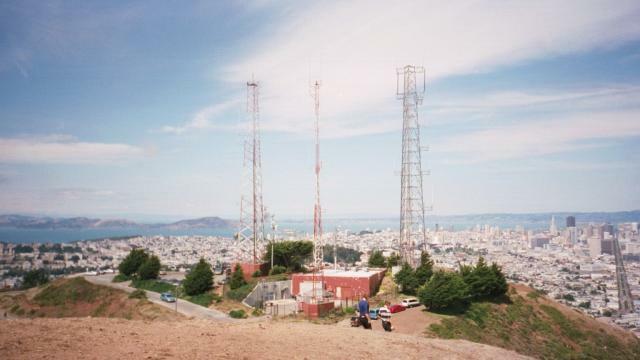 In the distance between the left and center tower can be seen Alcatraz Island. 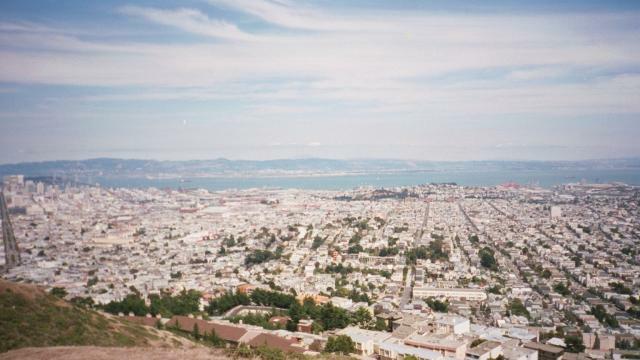 This was shot from the tourist viewing area on the northern peak and shows the Golden Gate Bridge in the distance. Across the bay is Marin. 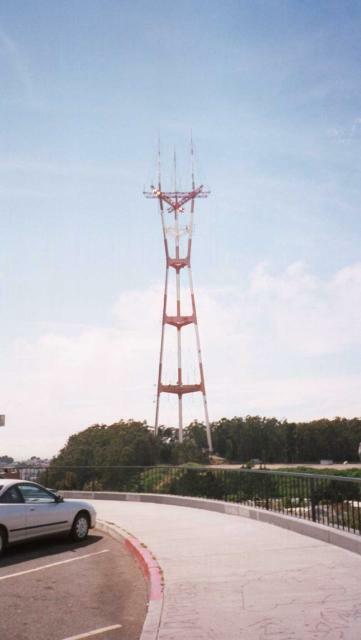 West of Twin Peaks is another San Francisco landmark, the Sutro tower. This tower is huge and can on many a foggy day be seen sticking out of the top of the clouds. Finally, a picture of West Portal. 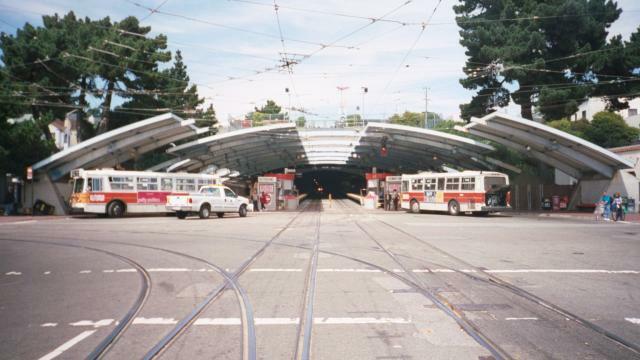 This is where the Muni Metro trains leave the subway after passing under Twin Peaks. 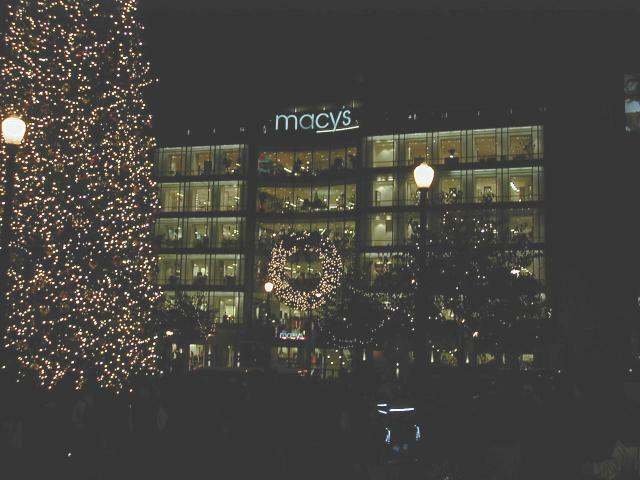 This last picture was taken with a digital camera I borrowed. ©1999 Joe Pearce. All rights reserved.